As a nonprofit executive, you’re focused on the organization’s mission, development, and program offerings. Now, focus on your own growth with a masterpiece resume and LinkedIn Profile from an executive resume writing expert. 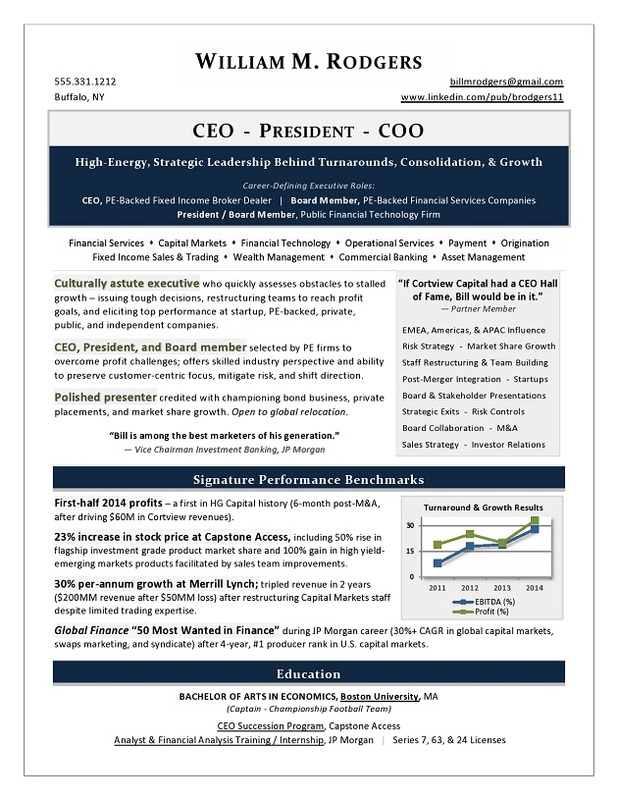 As the #1 US TORI award-winning executive resume writer, I’ve perfected the art and science behind compelling, premier quality resume writing and branding, as exemplified in the Nonprofit CEO sample resume shown below. 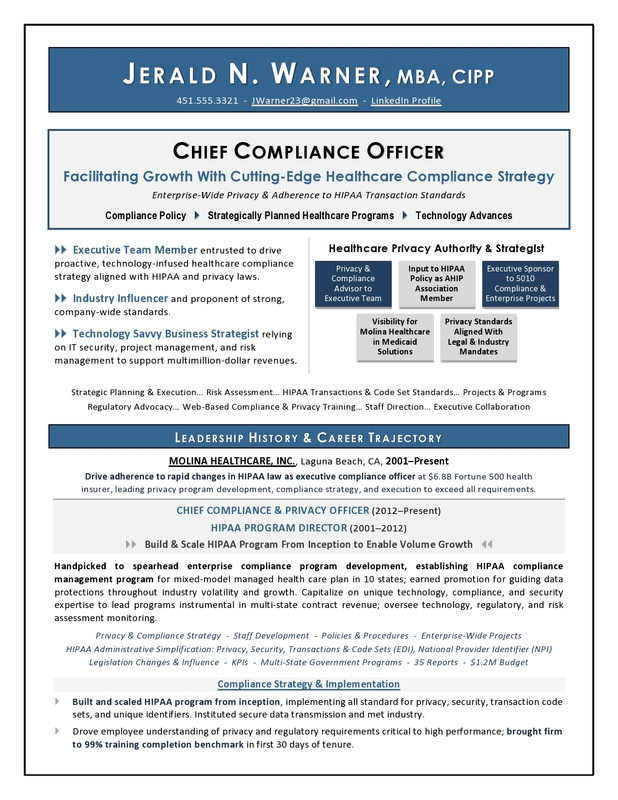 This CEO accessed numerous opportunities to head multi-region nonprofit organizations with a strong message of leadership value and growth strategies. Contact me to discuss your situation and needs in confidential detail. 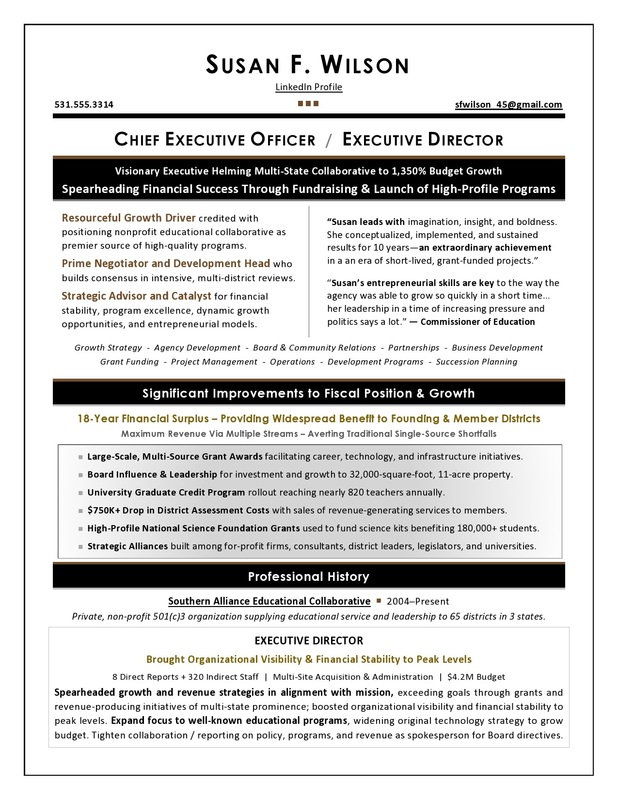 Why choose my executive resume writing services? When you’re ready for a strategic step in your career, choose a strategic partner. A former recruiter, I know what works in your executive job search – and I collaborate with you personally to extract the successes and details needed for a powerhouse executive resume and LinkedIn Profile. Contact me to discuss your situation and goals in a no-obligation call. Executive resume writer Laura Smith-Proulx partners with C-suite and rising executives to win the jobs of their choice, using powerful personal branding. A multi-time award-winning writer with 10 top industry credentials, Laura works closely with executives throughout the US, Canada, Europe, and APAC to build compelling stories of leadership ROI that impress employers.